The treatment of the roots of your teeth is incredibly important to maintaining the health of your whole mouth. We provide endodontic services to protect your roots and ensure you avoid unnecessary tooth extractions. The most common endodontic treatment is one that has the reputation of being a little scary, but really isn’t anything to be afraid of. 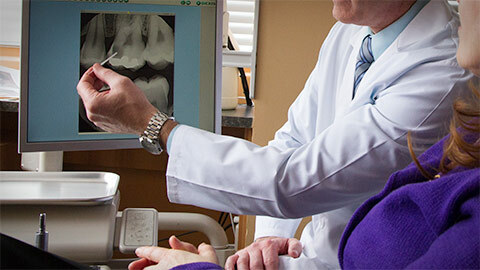 Root Canals are a treatment that comes into play when the root of a tooth is infected by decay. The interior of your tooth is filled with a pulp that is comprised of mostly blood vessels and nerves. When this area is infected it can kill a tooth. During a root canal, a dentist drills into this area, removes the decay and then fills the empty space with a composite material. This can prevent the loss of the tooth and keeps your mouth healthy. If you need more information about Endodontics in Downtown Edmonton, contact us today.